Happy snow day! KidsQuest may be closed, but that doesn’t mean you can’t have fun! Here are some fun, simple ideas to do at home with your little ones. Too cold to play outside? Bring the snow in! 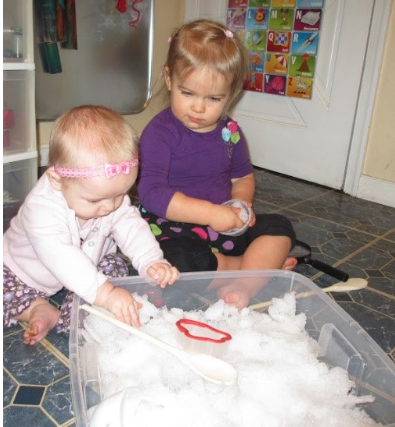 Fill a shallow bin with snow and give your kids different tools to scoop, squish, and melt it. 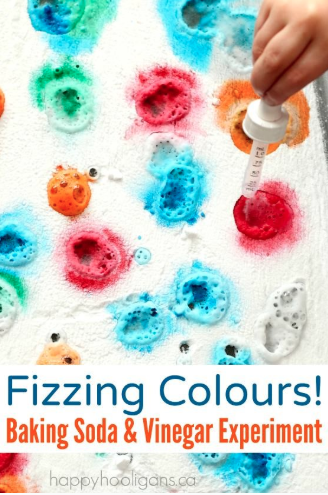 Extend the play by adding food coloring or watercolor paint, and using pipettes, syringes, or paintbrushes to experiment with color mixing. 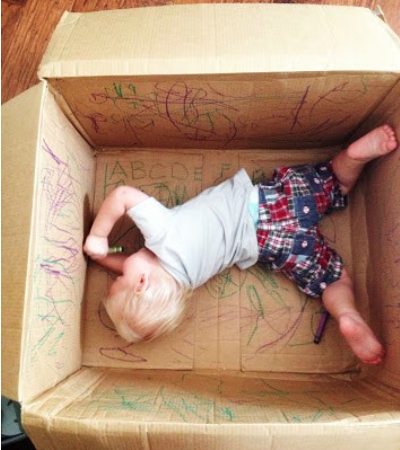 Use that box from your last online shopping order as an unconventional canvas for your child! Hand over the crayons and markers and help your little one inside. It’s not often that kids are encouraged to color on the walls! 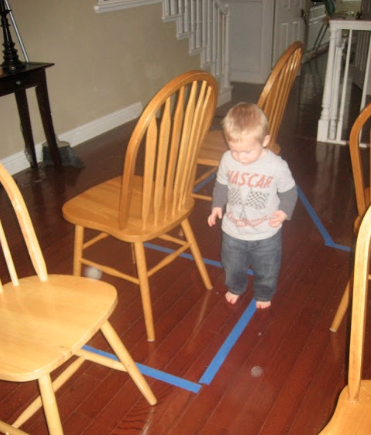 Use masking tape to create a path on the floor and around obstacles. 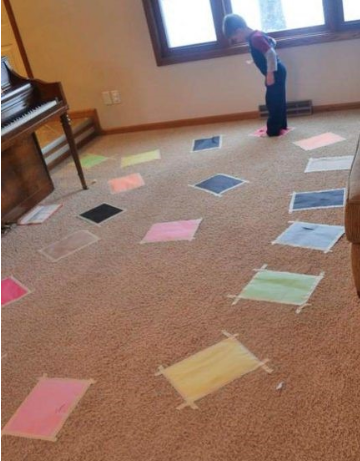 Start by simply walking along the line and then make it more difficult by balancing, hopping, or walking backwards! Relive your old science fair days with this classic science experiment. Sprinkle some baking soda onto a baking sheet or plate and use a pipette to drop vinegar on top. Make it a bit more colorful by dropping food color or sprinkles in before you use the vinegar! You can play so many games with balloons! 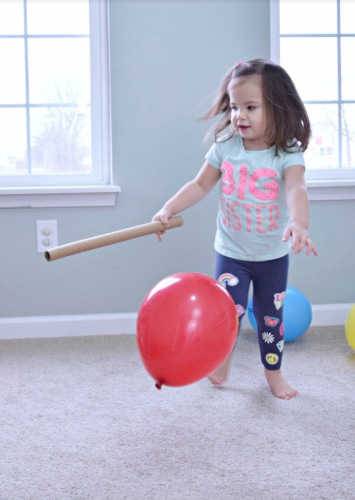 Make “racquets” out of paper plates and rulers and play balloon tennis, use paper towel tubes as clubs and play balloon golf, or just see how long you can keep the balloon in the air! Fill a shallow bowl with some milk (whole milk works best) and squeeze in a few drops of food coloring. Next, drop in a dot of dish soap and watch the colors move! We all remember this kid-favorite! If you don’t want your little ones jumping on the furniture, try putting pillows and cushions on the floor or taping down pieces of paper. Make it more difficult by taking away “stepping stones” or making new rules, like once one has been stepped on it can’t be used again! 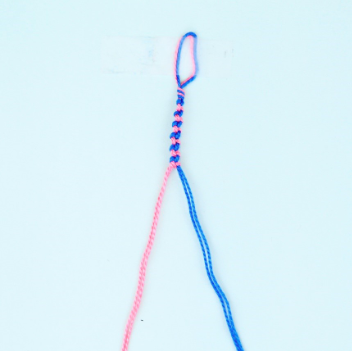 This is a great activity for practicing knots and is perfect for keeping kids’ attention. Use embroidery floss, yarn, or whatever string you have around the house! Start with a basic two-string knotted pattern or three-strand braid and work your way up to more advanced patterns! 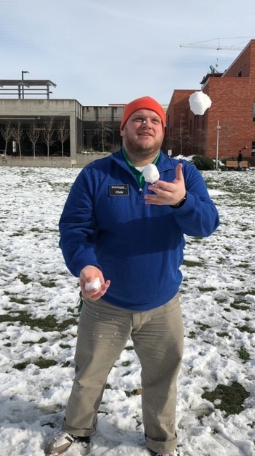 Bundle up and enjoy the snow! We suggest following up with a warm cup of hot cocoa. Have fun and we’ll see you soon!